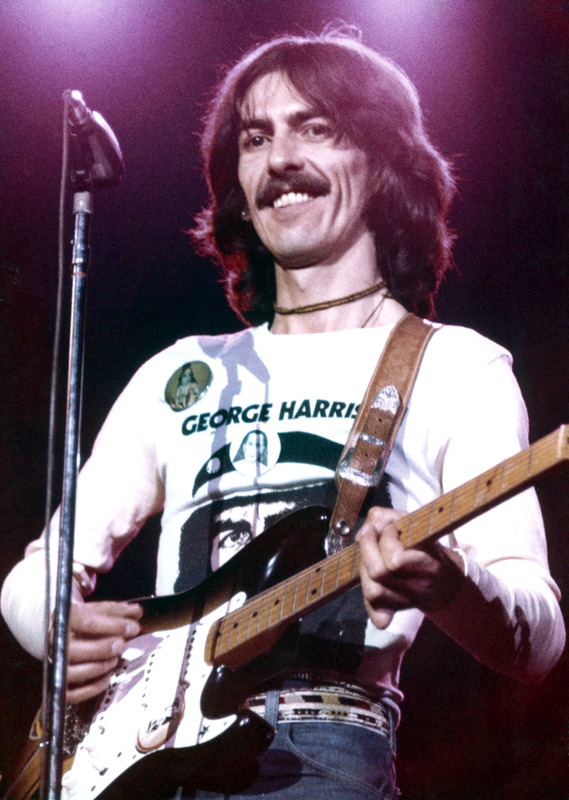 George Harrison, wearing a George Harrison t-shirt, on the 1974 Dark Horse tour. George is a Super Hero to me… not only because he was a Beatle and a fantastic guitarist, but also because of his intellect and philosophy and the fact that he was a certified car nut in the extreme. Love!